We start at the Rolle Pass (Trentino, in the southernmost part of the Dolomites). Between Pordoi and Fanes we enter South Tyrol and northern Belluno around Monte Cristallo. Our trans-Dolomites ski tour takes us past the Tree Cime di Lavaredo to our final destination, the Puster Valley. We stay at simple hotels (rifugi) with double rooms above the standard of a mountain hut. Typical food of northern Italy includes pasta, dumplings, meat, cheese, cured meats and Speck accompanied by local wines and beer. 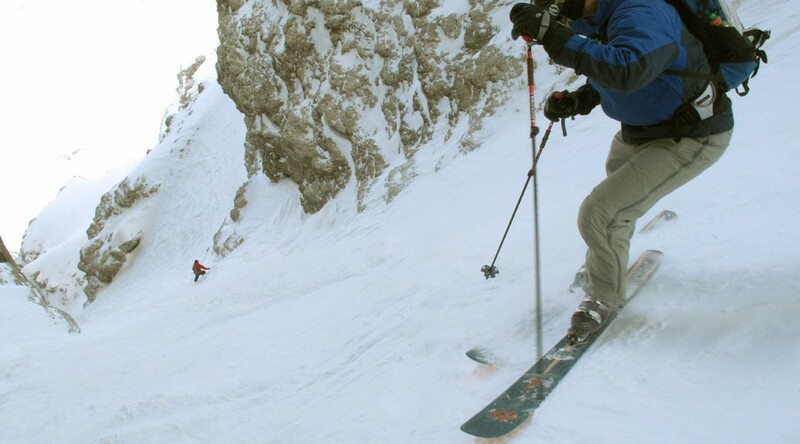 Participants must be proficient in ski touring and freeriding. Sufficient fitness for hikes of approx. 800 vertical meters is a must.